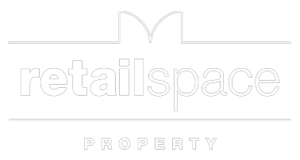 Retailspace is a multi-functional property group that has three core functions. Retailspace Agency that delivers commercial property leasing, retail property leasing, managements, sales and advisory to clients owning retail, medical and small offices. Retailspace Medical that delivers medical developments, medical leasing, medical property management and advisory. Retailspace Developments that develops new, and redevelops existing retail, medical and commercial centres. Andrew Deane and his dynamic group of specialists develop, transform, lease and manage retail, commercial and medical buildings and spaces on any scale in Brisbane, Gold Coast, Sunshine Coast and all regional areas across South East Queensland. In his 30-year career, Andrew Deane has been instrumental in the successful delivery of commercial development, leasing and management of large and medium sized properties across Australia. After a long career with senior roles at some of the biggest names in retail and commercial property, Andrew leads the skilled and talented Retailspace team. Create an environment that appeals to the tenant and customer experience. Drive the process of design, approvals, timelines, feasibilities, finance hurdles and pre-commitment of major tenants to minimise the risk and meet the goals. Deliver the vision of the development, and manage the asset and the property with attention to detail. That’s how Andrew and his team bring stability and financial growth to the retail space. We’ll Help Your Business Reach Its Full Potential.